The Vestil PWP-4840 nestable presswood pallet is a platform that has fork openings on all four sides, can be used to support and transport goods, and can be lifted using a pallet truck or forklift truck (sold separately). 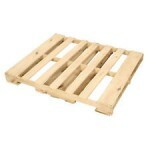 The pallet is made of pressed wood, which weighs less than traditional wood pallet boards and contains no nails or staples. Two or more pallets can nest for storage; 50 nested pallets measure 86″ high. 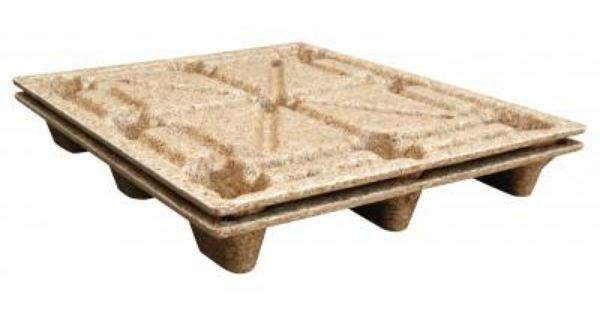 This pallet has a static load capacity of 2,000 lb., weighs 42 lb., and measures approximately 5-11/16 x 48 x 40 inches (H x W x D). (H is height, the vertical distance from lowest to highest point; W is width, the horizontal distance from left to right; D is depth, the horizontal distance from front to back.) The fork openings measure 3-5/8 x 10-13/16 inches (H x W) on two sides of the pallet and 3-5/8 x 11-7/8 inches on the remaining sides. This product meets International Standards For Phytosanitary Measures No. 15 (ISPM 15) for the international shipment of wood materials. It is intended for use in professional and industrial environments.